Dartfishes have two dorsal fins and feed on plankton. They are related to gobies and can be observed in sand- and rubble-bottomed areas. They are shy and if approached, they hide in burrows. 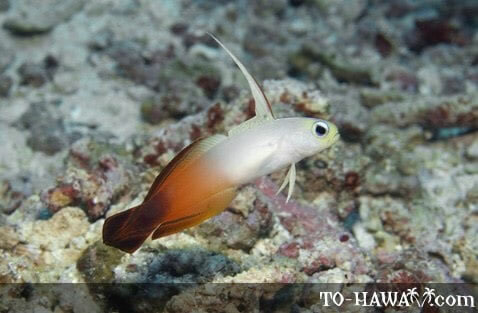 Two species of dartfishes can be found in Hawaii, the Fire Dartfish and the Indigo Dartfish.